A lawyer’s relationship with their clients is crucial in building a successful practice. Clients deserve quality. The question thus becomes, what can be done to ensure that the client feels that they are being given a quality experience? Whether you choose a Virtual Office or a Full-Time Office, the client will always find a professional presence the moment they step through the door. This is especially true during business hours when they have to drop off a document or package. 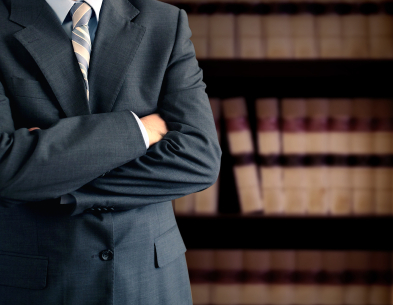 Rather than finding a poorly written note on an unknown document, the attorney will find a document that has been personally received, and all the necessary information to be able to serve the client to the best of their ability. The client, in turn, will feel like they have received quality service and that their time has been valued. They’re not just leaving their important legal matter to chance – they are leaving it with a real person, securely cared for. As an attorney, what can you expect from a Virtual Office or a Full-Time Office? Virtual Office options vary. The Virtual Office can offer a physical address (not a PO Box), phone answering, conference room/day office and administrative support. Virtual Office packages can be designed based on your practice needs. Virtual Office provides a local telephone number and address. The package can also include access to the receptionist to answer calls, greet your clients and provide your practice with the ability to achieve and maintain a professional image. Full-Time Office solutions offer affordable turnkey furnished office suites that are available immediately and services that can be personalized for you. With a Full-Time Office, the day-to-day administrative operations and necessary professional support are already cared for, eliminating the distraction of these time-consuming tasks. This allows you to focus your energy on your clients. To learn more, or to sign up for a Virtual or Full-Time Office, give us a call at 813-229-1500 or contact us online.